Hope you are all having a great Easter Weekend? Well I have already had some lovely family time and also managed to get in some crafting time – perfect! I wanted to see if I could have a go at participating in a challenge, which has been on my ‘to do’ list for ages! 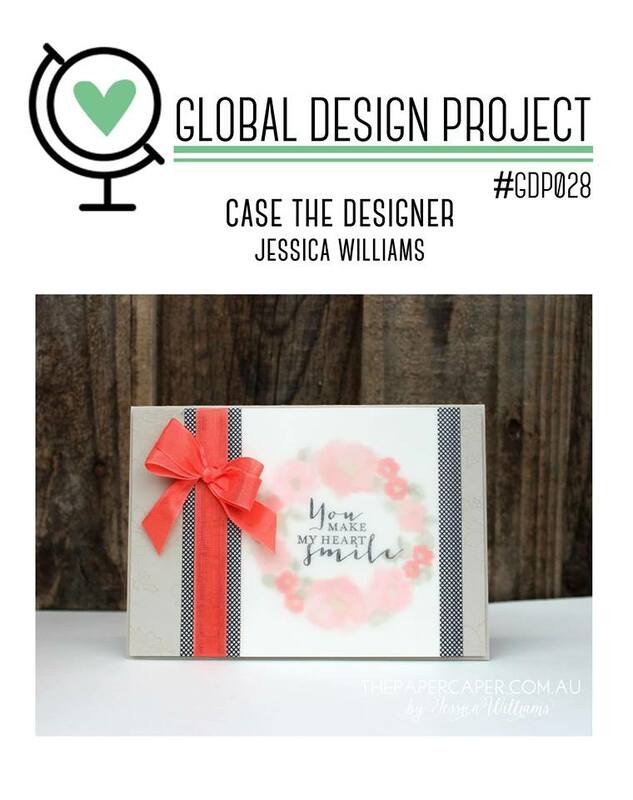 So today I have created this card for the GDP challenge I am CASE-ing the incredible Jessica Williams. So this is my CASE (Copy and Selectively Edit) I decided to stay with the idea of a wreath and I have masked the circle using the 2″ punch and used the Botanical Blooms in Watermelon Wonder, Smoky Slate with Basic Black the accent paper is 2015-2017 DSP stack in coordinating paper. Emma – I absolutely love how you’ve used this stamp set to create a lovely foundation for your sentiment. Such a great card! Thank you so much for playing along with this week’s CASE the Designer Challenge at the Global Design Project – I’m glad you did. Ahh thank you Brian that’s really kind!